Thankyou for registering your interest in this FYHM Infotopic. As the value of email has continued to erode we've decided not to release this information via autoreponder (because we don't know if you'll ever actually receive it?). 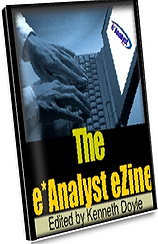 OPTION One: The e*Analyst Ezine is now published as a channel, and this topic is discussed there. Read The e*Analyst Ezine HERE! OPTION Two: Subscribe to the FREE 12-part E-Report series on Internet Marketing fundamentals titled *Taming The eBeastie*, HERE! Have you subscribed to our new channel, The e*Analyst Ezine yet? The topics you are interested in are discussed regularly in the channel/ ezine. And... as a subscriber to The e*Analyst Ezine you will be given a FREE copy of every *Taming The eBeastie* E-Report as they're released.